Before the action got underway,the Judo World reflected on the tragic loss of two family members. A minute of silence was held for Diaa Aldeen Badr and Ahmed Khanji, who tragically lost their lives in the Syrian conflict. Her Imperial Highness Princess Nobuko Tomohito of Mikasa presented the gold medal to woman of the day 17-year-old Uta Abe, the sister of under 66kg World Champion Hifumi Abe. 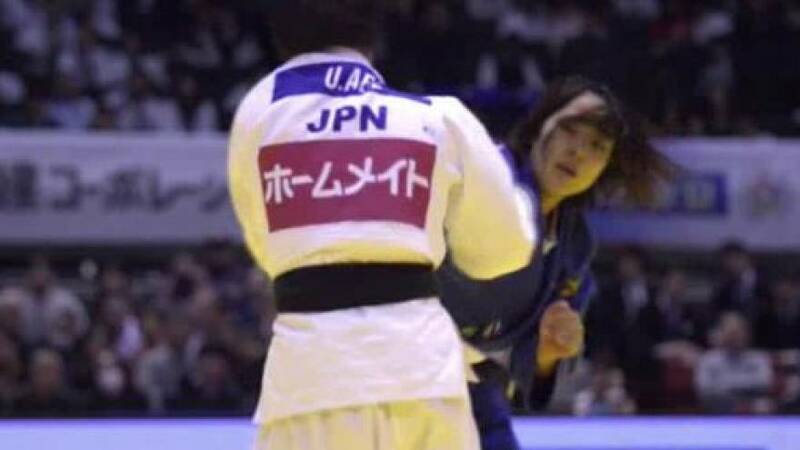 The Junior World Champion showed off her senior credentials, throwing with a spectacular dropping shoulder throw to score Ippon and take the top spot at under 52kg. Her brother Hifumi was our man of the day, completing a golden double for the Abe family. With his final having gone to golden the 20-year-old came up with a brilliant driving O-Uchi Gari to score Ippon against his Japanese team mate Maruyam, underlining Japan’s dominance in the category. With the weight of expectations on his shoulders, the reigning World Champion didn’t disappoint – thrilling the home judo crowd, and making sure that he wasn’t outdone by his younger sister. “Well, if my sister had taken the gold and if I hadn’t managed to take the gold, even as her older brother I think this would have meant I would have been the one looking up to her,” said Hifumi Abe. Under 60kg World Champion Takato Naohisa also came up with a gold medal winning performance after sidestepping his Mongolian opponent’s weak attack and driving him onto his back for Ippon. World Silver medallist Tsukasa Yoshida took a fourth gold for Japan on Day One. And with Ami Kondo, Miku Tashiro and Arata Tatsukawa also taking gold, it made it an incredible 7 out of 7 for Japan. The move of the day went to the Mongolian 60kg silver medallist Amartuvshin Dashdavaa, for a stunning Ippon in the early rounds.